In past week there have been major movements of military hardware, manpower in Crimea, infrastructure jamming or simple logistical preparations. Tactical, operational and even strategic moves have been going down in the Donbas and Crimean occupied lands. Internet service has been jammed in northern Crimea “for security reasons” says member of the Federation Council’s Committee on Defense and Security Olga Kovitidi told Dozdh TV channel on Friday. Internet service is also jammed on the Polish-Russian border. Military hardware transported by train from Russia to Crimea (Ural, BTR’s etc.) . New jets deployed at Bel’bek airfield, Crimea. Tall Rack 3-Dimensional Surveillance Radar was deployed in Belbek, Crimea. Dozens of Ceasefire violations in Donbas. Russian soldiers dig trenches at the Ukrainian-Crimean de facto border and also palces Grad missiles system. The Rostov-on-Don ultimate invasion base is almost ready. The commitment to this construction clearly shows that there’s no intention of stopping from waging war in Ukraine. Placement of S-400 anti-air defense system in Crimea. In the end we have a big bowl of open source reports with political confirmations, satellite imagery or amateur recordings. All of which underlines Putin’s most aggressive anti-Kiev set of operations from this year. Despite economic pressure, political isolation or poor military state, Russia has managed to intervene with ground troops in two wars, (Ukraine; Syria); he managed to cooperate closely with allies as Iran, China or Syria, and ultimately repair its relationship with Turkey. The Kremlin has currently a strategic deposit of political approval from its allies, benefits from a less aggressive speech from the West, especially with Donald Trump (who went as far as publicly expressing his will to cooperate with Putin) and contributed to the instauration of the biggest crisis inside the European Union. With Germany, France dealing with domestic terror threats, the UK having its own internal ramble following the Brexit vote, Russia has a great opportunity in its hands to advance more of its agenda. While the Loyalists have taken step backs in Syria and are now in danger of losing Aleppo’s south and east neighborhoods, Moscow is showing that it hasn’t forgot about Ukraine, or about Eastern Europe for that matter. The Crimean-Donbas land connection is an obvious candidate for a military objective. 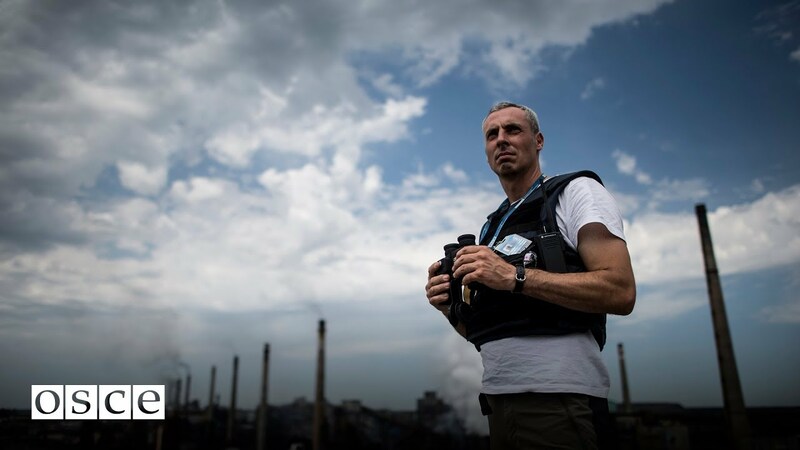 I’m sure it was always on the table but in order to formulate it, the separatists needed to take Mariupol which was fought-off by Ukrainian troops and the Minsk agreements secured it from Separatists influence. Whether this land connection is a possibility now or not, could be signaled by the deployment of S-400. It’s clear that the fall of Mariupol could mean big trouble and more or less, a bigger response would be need from Kiev and Euro-Atlantic Allies. The deployment of the S-400 Triumf surface-to-air system is the most effective deterrent Russia could place there, apart for tactical nukes. But it also has a strategic importance. The system is designed to target stealth aircraft, ballistic missiles and cruise missiles with a range of about 250 miles (400 kilometers). While the S-400 is the longest-range SAM in the world, it won’t be the only Russian air defense system in Crimea, which Russia annexed from the Ukraine in 2014. The military has already deployed the S-300 to the region. And pro-Russian separatists reportedly used the older Buk surface-to-air missile system (SA-11) to shoot down the commercial airliner Malaysia Airlines Flight 17, killing all 298 people on board. An S-400 was also deployed near the Turkish border in late 2015 when Turkey downed a Russian jet. As Russia is preparing for another ground incursion, dispatching infantry heavy hardware, Ukraine’s latest live fire exercise was held on sea, in southern Ukraine. Russia will not allow OSCE monitors in Crimea, as the 10th of August report for Donbas reported explosions, fire exchange and beyond the withdrawal lines but outside assigned areas, the SMM (OSCE) observed 18 tanks (T-64) stationary at a known training area near “LPR”-controlled Myrne (28km south-west of Luhansk). In “DPR”-controlled areas beyond the respective withdrawal lines, the SMM observed: 16 howitzers (eight self-propelled 2S1 Gvozdika, 122mm; and eight towed of which six were 2A65 Msta-B, 152mm, and two D-30, 122mm). The Mission monitors observed the presence of armoured combat vehicles (ACV) in the security zone: two armoured personnel carriers (BTR-80) travelling south towards government-controlled Popasna (69km west of Luhansk). Aerial surveillance imagery available to the SMM revealed the presence of 26 armoured vehicles in areas around government-controlled Kodema (57km north-east of Donetsk) and one armoured vehicle in an “LPR”-controlled area just south of the bridge near Stanytsia Luhanska (16km north-east of Luhansk) on 9 August. With equipment is being repositioned in Crimea, provocations are being launched in Donetsk and Luhansk and jamming is being undergone at the Polish border, Ukraine is on high alert for a possible escalation of the conflict. The US has quickly deployed four F-15 fighter jets from Campia Turzi air base (Cluj, Romania), in Estonia, as British Thypoons are already present in the Baltic States for Air Policing. F-15C is a tactical fighter aircraft designed to gain supremacy in aerial combat. It is known for its good acceleration capabilities, avionics and maneuverability. Other European Allies are still to condemn Russia’s newest actions or to take further actions. Morever, Putin shut the door on the August “Normandy format” meeting that was scheduled. Russia could even project more soft power, by refusing diplomatic talks regarding the conflict, as it already threatened to cut diplomatic ties with Ukraine. Such an action would complicate even the most sterile diplomatic efforts attempted by European States to achieve cease-fire renewals between Kiev and Moscow. If the Euro-Atlantic community still shows lack of commitment for Ukraine and its security than we can expect renewed hostilities and more land-grabs by the Kremlin. In the end, most of Kremlin’s actions are permitted by insufficient pressure by the international community. If Russia has room to maneuver, it will, it’s that simple. If the Separatists are shelling Ukrainian positions, and the soldiers eventually eliminate the artillery nest, Putin will use it as an excuse for escalation; again, it’s that simple. If it’s a new Cold War, then be it, but don’t let it be a Cold War in denial. “Russian MP Says Internet Turned off in North Crimea for Security Reasons.” TASS.. http://tass.ru/en/politics/893885. “Polskie Telefony Bez Zasięgu Przy Granicy Z Rosją.”. http://www.tvp.info/26526866/. Німеччина, Хуёва. “Uploaded ~1h Ago: Another #Russian Military Transport in the Direction of Occupied #Crimea:https://streamable.com/qf0j.” Microblog. @el_roosevelt,. https://twitter.com/el_roosevelt/status/764043249376002049. Liveuamap. “New Jets Deployed at Bel’bek Airfield, Crimea via @Ald_Abapic.twitter.com/YV8nH6BGSP.” Microblog. @Liveuamap, August 12, 2016. https://twitter.com/Liveuamap/status/764090262863814659. Abazović, Aldin. 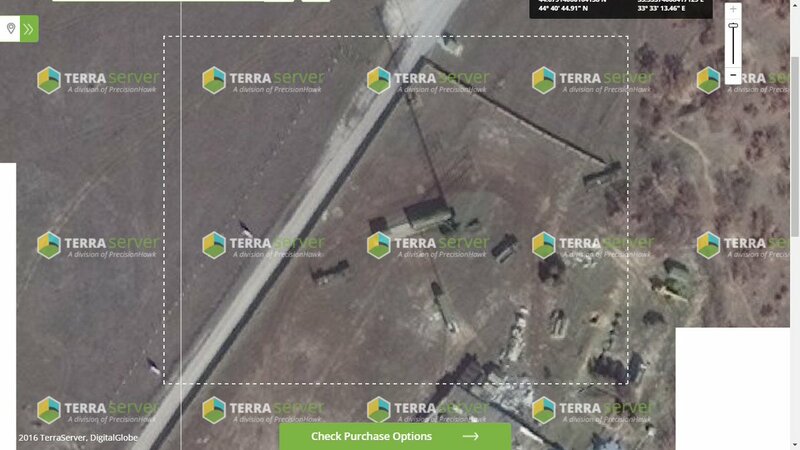 “#Russia 55Zh6-1 Nebo UYe / Tall Rack 3-Dimensional Surveillance Radar in Belbek AB #Crimeapic.twitter.com/cYwsbTXQi7.”Microblog.@Ald_Aba,. https://twitter.com/Ald_Aba/status/764096356986212353. “На Адмінкордоні З Кримом Російські Військові Встановили «Град» І Риють Окопи – Генштаб України.” Крым.Реалии. http://ua.krymr.com/a/news/27915468.html. “Russia Deploys Advanced S-400 Air Missile System to Crimea: Agencies | Reuters.” Accessed August 12, 2016. http://www.reuters.com/article/us-ukraine-crisis-crimea-missiles-idUSKCN10N1H4. McGarry, Brendan. “Russia To Deploy Most Advanced Missile Systems In Crimea |.” http://www.defensetech.org/2016/07/15/russia-to-deploy-advanced-missile-systems-in-crimea/. “Ukrainian Navy Hold Live Fire Drills in Southern Ukraine.” Accessed http://www.kyivpost.com/article/content/ukraine-politics/ukrainian-navy-hold-live-fire-drills-in-southern-ukraine-420834.html. Sputnik. “Russian OSCE Envoy Rules Out SMM Monitors in Crimea.” http://sputniknews.com/europe/20160812/1044200685/russia-osce-smm-crimea.html. “OSCE Special Monitoring Mission in Ukraine: Table of Ceasefire Violations as of 19:30, 10 August 2016 | OSCE.” http://www.osce.org/ukraine-smm/258966. “US Fighter Jets F-15C Arrive in Estonia – Local News – Estonian News in English.” http://news.postimees.ee/3798369/us-fighter-jets-f-15c-arrive-in-estonia.